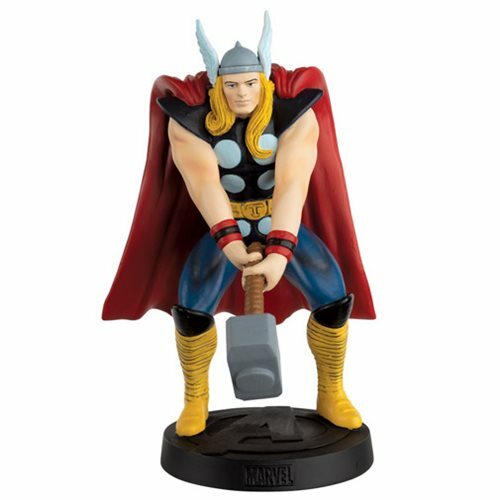 The Marvel Fact Files Classic Special Thor Figure with Magazine #5 features original art of the 1960s Marvel Avengers. Thor stands over 6-inches tall and captures every unique detail of the original Avenger in now-iconic costumes. Collect all six to reveal Earth's Mightiest Heroes in a striking action formation (each sold separately). The Mighty Thor stands over 6-inches tall. Ages 14 and up.